The first known Jewish settler in Alessandria was Abraham, son of Joseph Vitale de Sacerdoti (Cohen), who opened a loan bank in or around 1490. The subsequent history of the community has continued to center around, and to a great degree consist of, the record of his descendants, later known by the name Vitale. In 1550, it was proposed that the Jews be expelled from the Duchy of Milan, which had been under Spanish rule since 1535. Hearing the news, Simone (Samuel) Vitale went to Madrid and secured authorization for two families to reside within the city. 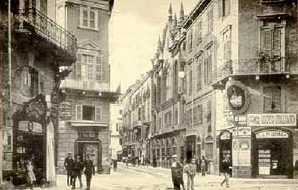 When the Jews were finally expelled from the Duchy of Milan in 1590, he again traveled to Spain and received permission to remain in Alessandria, in part due to the large sum of money owed to him by the government. Thereafter, the community was concentrated around the Vitale family, whose approval had to be obtained by all newcomers before they could settle there. Of the 230 Jews living in Alessandria in 1684, 170 were members of the Vitale family; in 1761, out of 60 households, 36 bore this name. The wealthier members of the community were engaged in the manufacture of textiles and silks; their mills gave employment to many Christians. General conditions remained unchanged when Alessandria passed to the House of Savoy in 1708. The administration of the community remained distinct from that of Piedmont Jewry. The ghetto was established in 1724. In 1761, the Jewish population amounted to 420 persons, the Vitale family having lost the right to approve the newcomers. From the 18th century, the rabbinate became an almost hereditary office held by the family of Levi (de) Veali. 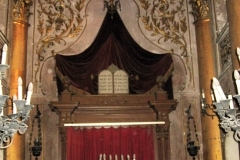 The Jews of Alessandria, with the rest of Italian Jewry, enjoyed temporary civic emancipation during the period of French influence in Italy in 1796–1814. Subsequently, there was a sharp reaction. In 1837, Alessandria Jewry was again restricted to the ghetto, although its gates were not renewed. At a wedding celebration in 1835, an overcrowded house in the area collapsed, killing 42 persons, including 17 Christian guests and R. Matassia b. Moses Zacut Levi de Veali. 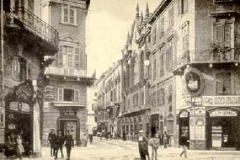 In 1848, the Jews of Alessandria were emancipated and many of them moved to larger cities. Between 1900 and 1938, the total number of Jewish residents decreased from 868 to 101 according to Mussolini’s census. 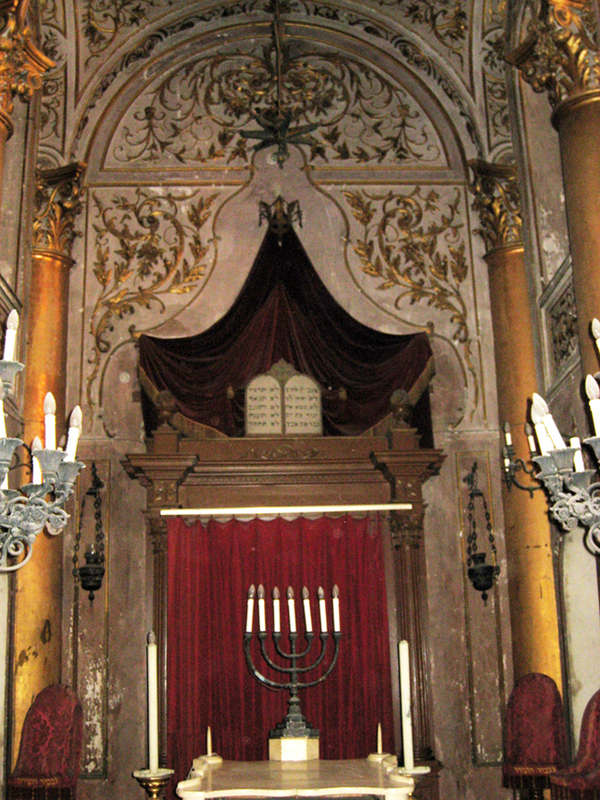 During the night of December 13, fascist squads attacked the synagogue in the via Milano, destroying or stealing any silver objects. Books and precious manuscripts were burned in a great bonfire in Piazza Rattazzi that same evening. Also in December, 11 Jews from Alessandria were arrested and sent to Fossoli, from where they left for Auschwitz in February 1944; another six were seized by the Germans in the spring of 1944.